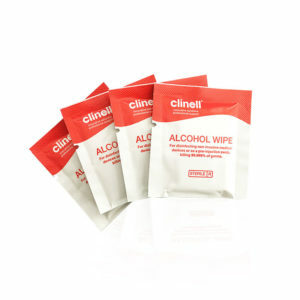 4 Pack of Individually wrapped 70% medical grade alcohol wipes 10x10cm. These medical grade alcohol wipes are an excellent aid to help with the clean up of hair systems and lace front hairline areas. They clean, sterilise and help get rid of any sticky residue.